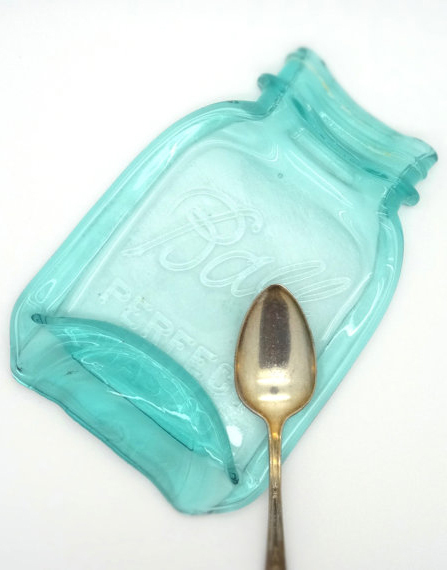 This cute Melted Mason Jar Spoon Rest can be used in a more than 100 way from spoon rest, small serving plates, jewelry holders, cell phone stands, salsa and chips plates, sushi trays, soap dishes etc. $17.99. Buy here.